Our Vintage Telecaster Rhythm pickup brings out the warm, open tone of the best 54 Teles. To complement the distinct twang and punch of the Vintage 54 Lead, our Telecaster Vintage Rhythm pickup was designed for a smooth open tone with warm lower mids and airy highs. With its hand ground alnico 5 rod magnets, this neck pickup will deliver big full sounding chords. 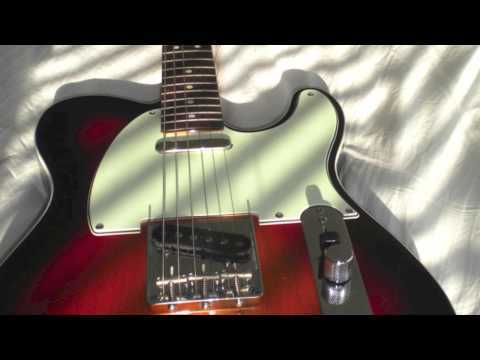 When used in combination with the bridge pickup, youll get that famous hollow Tele sound. Warm enough for most types of rhythm playing, but percussive enough for chicken pickin as well.Keeping to that authentic Tele feel, we hand assemble the bobbin with the period correct color and thickness Forbon and alnico 5 rod magnets, then lacquer it before winding. We add a deep drawn chrome plated brass cover, cloth pushback lead wires, then wax pot like the originals.